Chapter 4 Page 20 is up. Jassart and Blaise take a few extra steps to cover their trail. 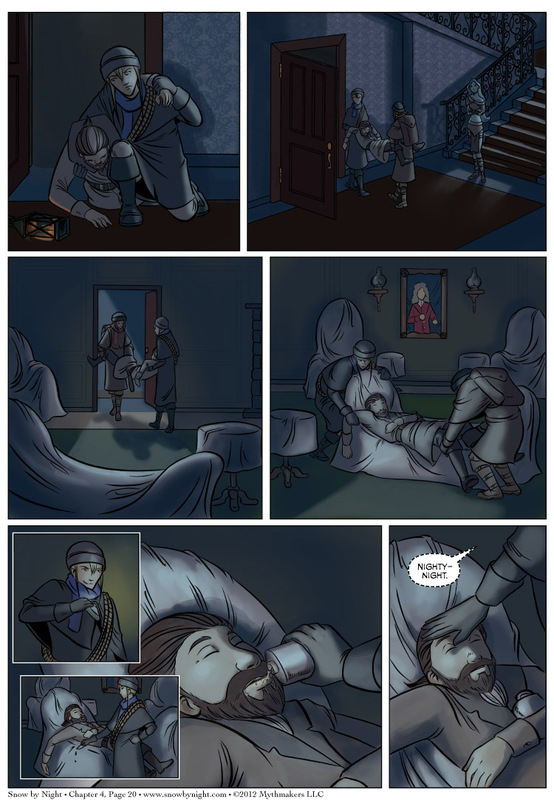 To see a preview of the upstairs of the manse, vote for Snow by Night on Top Web Comics. HeroesCon is only days away. 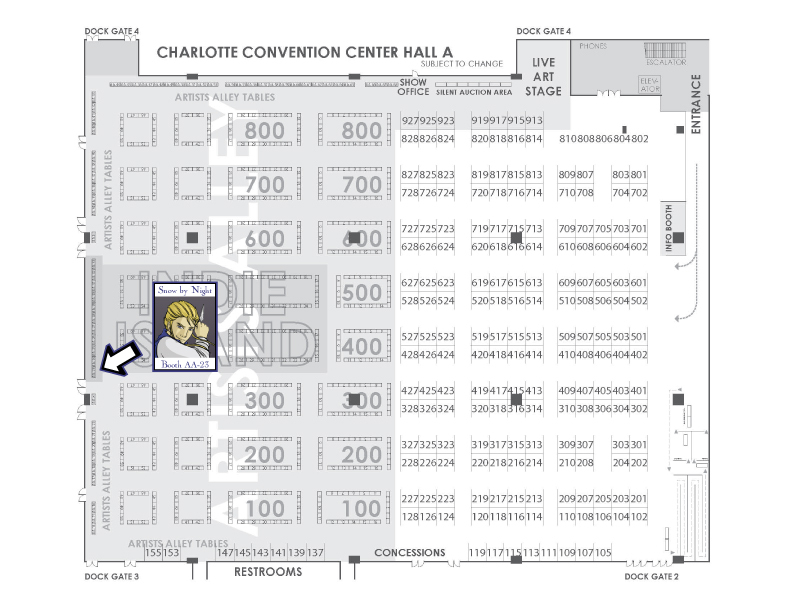 Here’s our handy-dandy map to find us.